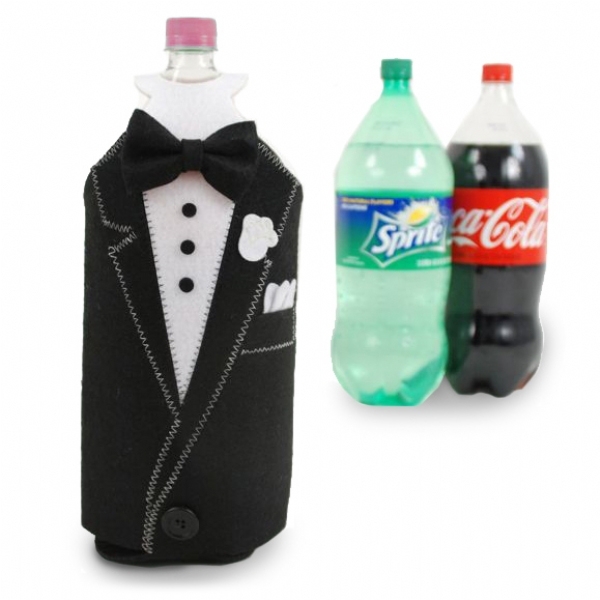 Suit up your soda bottles with this dandy black and white Tuxedo bottle cover, and get fancy with your soft drinks! Your drinks table will look a lot more chic and put together. Finally a cover to keep all those big brands and labels out of sight. Perfect for weddings, or even an Eloise at the Plaza party!